THE CONUNDRUM PROJECT provides a flexible space for us to involve key retailers and chefs in the product development process. It is the name we give to any cheese that is delicious and interesting but not yet a permanent part of our collection. Conundrum will take many shapes over the years, but it will always be our effort to gather feedback from cheese professionals and share one-of-a-kind batches with our most engaged customers. 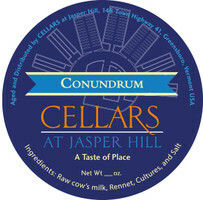 For information on the latest Conundrum cheese & where to purchase, click here. 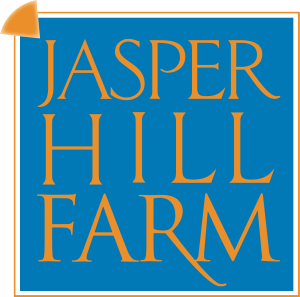 Alpine cheeses like Appenzeller inspire the recipe for this Jasper Hill Creamery original. Alpha Tolman has a buttery, fruit & nut flavor when young, developing bold meaty, caramelized onion flavors as it matures. The texture is dense and pliant, easily portioned and ideal for melting. This succulent and buttery washed-rind cheese has aromas of peat, roasted beef and onions – a strong and complex front for the subtle milky, herbal, ripe-peach flavors within. Willoughby has a thin, tender, rosy-orange rind, which adds earthy dimension to the texture and flavors of the gooey interior. Harbison is a soft-ripened cheese with a rustic, bloomy rind. Young cheeses are wrapped in strips of spruce cambium, the tree’s inner bark layer, harvested from the woodlands of Jasper Hill. The spoonable texture begins to develop in our vaults, though the paste continues to soften on the way to market. Harbison is woodsy and sweet, balanced with lemon, mustard, and vegetal flavors. 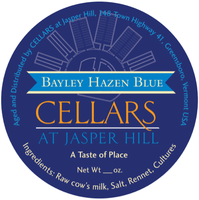 Bayley has developed a loyal following because of its fudge-like texture, toasted-nut sweetness, and anise spice character. The paste is dense and creamy, with well-distributed blue veins. 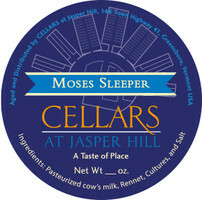 The usual peppery character of blue cheese is subdued, giving way to the grassy, nutty flavors in the milk. A natural-rinded, raw milk cheese.